For over fifty years of providing kosher supervision, STAR-K, the leader in the international world of kosher certification has widened it’s network in the Philippines. Joining the Israel Chamber of Commerce of the Philippines (ICCP) as one of its premium members, STAR-K Kosher Certification assists the growing number of Filipino exporters exploring the lucrative Kosher market. According to Joel Weinberger, STAR-K Certification Inc.’s Head of Operations in India and Southeast Asia, kosher certification is a high-level third-party certification process effective in promoting brands and businesses to international markets. Being kosher-certified allows exporters to access a wider market for their products. The Kosher food industry represents a multi-billion dollar market worldwide, catering to a variety of consumers. The term “Kosher” applies specifically to Jewish dietary laws and other religious and secular groups that require a Kosher dietary regimen. Kosher products appeal to, vegetarians, the Islamic world, Seventh Day Adventists, and consumers who look for a Kosher symbol on the foods they purchase. Once products such as Philippine snacks, fruits, and ingredients get kosher-certified, the company can sell them to millions of kosher food consumers worldwide. 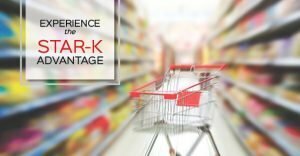 STAR-K is proud of its reputation for providing prompt, friendly and professional service to both kosher consumers and members of the food industry. 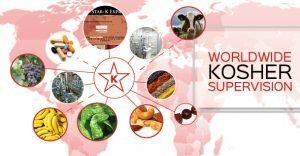 Across the world, STAR-K Certification has helped companies with multiple plants, locations, and operations employing uniform standards in implementing kosher programs. For Filipino Food Exporters looking to tap into the potential of kosher to help their businesses grow, you may contact the Israel Chamber of Commerce of the Philippines.